Wellness can sometimes be a confusing space, with dubious or contradictory claims, and even pseudo science. Which is a shame – because focusing on health and wellbeing is one of the best things anyone can do. This week on Brand Builder we have two people who are helping consumers and entrepreneurs navigate the sometimes confusing landscape of wellness. 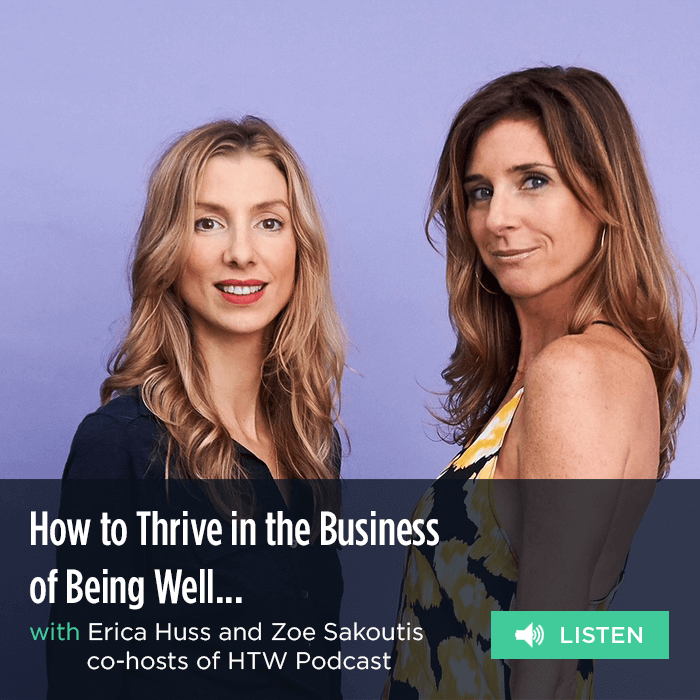 We’re talking to Erica Huss and Zoë Sakoutis, the hosts of Highway to Well, a podcast that we are very big fans of. To say that Erica and Zoë are wellness experts is a major understatement. They helped bring the wellness category mainstream with Blueprint, the hugely popular juice cleans brand they built and sold. Now they’re giving back to the wellness community through their HTWpodcast, bringing a fresh voice to the business of being well. Zoë and Erica bring a unique perspective because they built their own brand, they have experienced investing and mentoring, and now they’re building a community with Highway to Well. In this interview they also talk about exit strategies, plus the need for brand to be platforms in an age when content is king.